Are you going through a difficult situation in your life right now? Are there circumstances that you cannot understand? 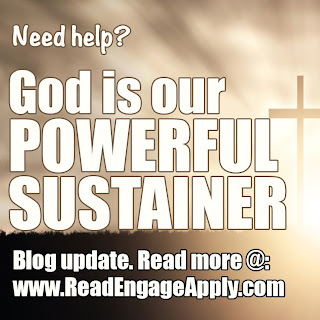 Instead of trying to fix it or control it, rather than trying to figure out the what, when, where and why of your struggle, focus instead on God your sustainer. ▪ What circumstances do you face that only God can change? ▪ Do you trust him to do that? ▪ Do you have trouble believing that nothing is too difficult for God? 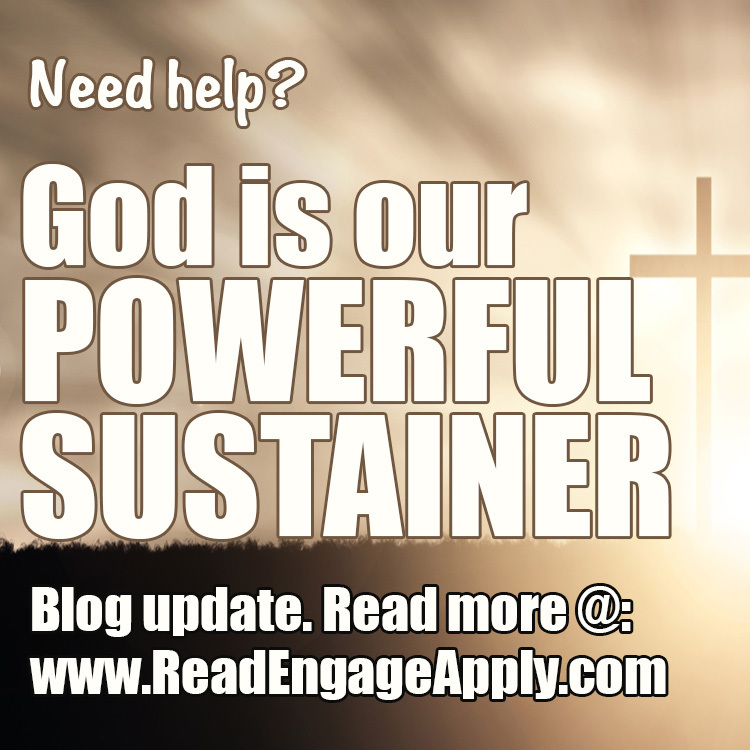 Thought to focus on: God Is Your Sustainer.